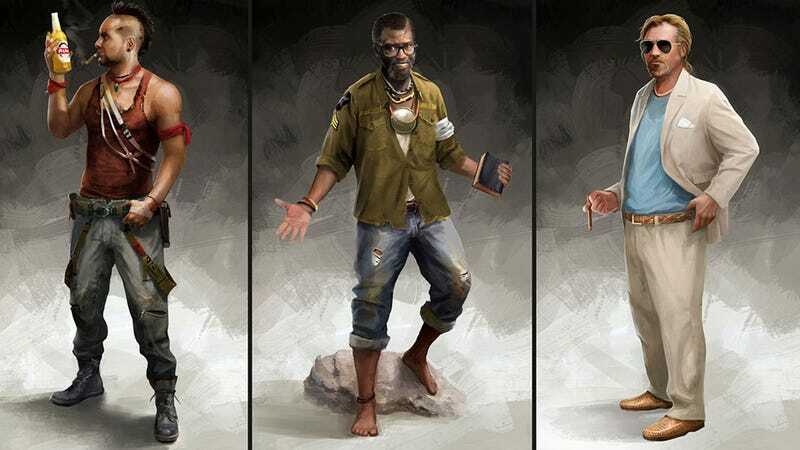 Everyone In Far Cry 3 Looks Absolutely Crazy. Everyone. The images you're about to see are the work of Bruno Gauthier Leblanc, an Ubisoft artist who we've previously featured for his contributions on Splinter Cell: Conviction. Today, though, we're looking at things a little more tropical in nature. Namely, his work on Far Cry 3. As you can see, many of these designs made it through to the final game with nary an alteration. And in case you missed it during the game, you can also get a good look at Jason Brody's face. Just in case you didn't think he was smarmy enough already.